So guys are just harder to pick presents for in general, in my opinion. Women can get flowers, bath stuff, jewelry, but for men there is less of a blanket of obvious gifts. 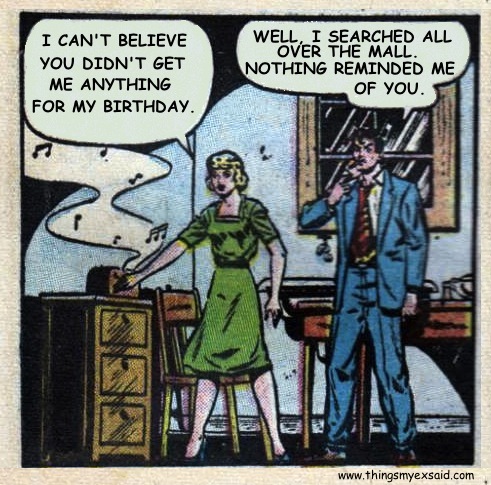 On his birthday–forget cards, watches, sports memorabilia–nothing says love and devotion like when she talks to her ex on the phone for a long period of time. Happy birthday, honey! I’m having serious second thoughts about you!